Belly bind sessions include self diastasis check tutorial, and freshly brewed mother's heating tea. add $50 per session to combine with any one herbal and crystal bath. add $50 per session to combine with warm oil application and rebozo sifting. 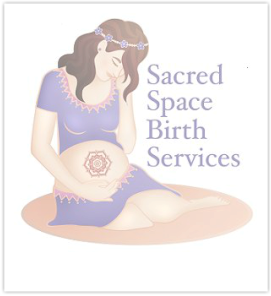 For multiple combinations, please see package prices under full service traditional postpartum. Womb Warming Paste is optional. ​* our location is in Rocky Point N.Y.
or send email us here. ​Wrapping or binding the belly during postpartum is an ancient tradition found in almost every part of the world and in many different cultures. Navajo - a traditional sash belt, wrapped tightly around the abdomen. Warmed cedar branches were placed inside the sash belt to help keep the uterus warm. India - Traditional Indian postpartum practices include "tying" the new mothers abdomen with a cotton cloth, scarf or sari. Malaysia - Belly binding is one of the 6 cornerstones in Malay postpartum confinement. It is called barut, (a tight wrap around the waist.) Binding the tummy is called berbengkong (twisted wrap) and helps to regain the woman’s figure. Greece - Traditional Greek postpartum care included the wrapping of the abdomen from pubic one to just under the breasts. A cotton or linen cloth was used. Rose petals or powdered spices were applied to the lower abdominal area, just over the womb before wrapping. Mexico - During the "Caurentena" ( 40 day postpartum confinement) the new other uses a "faja" ( a sash belt) to wrap her abdomen. Schwarz, M. T. (1997). Molded in the image of changing woman: Navajo views on the human body and personhood. Tucson: University of Arizona Press.